a wonderful Mid Century Modern Lamp in the classic green glaze. a gorgeous Mid Century Modern Ceramic Lamp in a black art glaze. 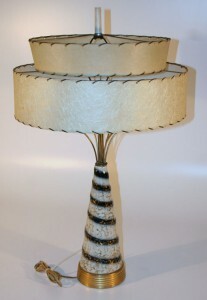 a fantastic example of the Mid Century Modern Ceramic Lamp. a scarlet glaze on a geometrical Mid Century Modern Ceramic Lamp. The shade is not origin to the lamp and is not of mid century modern origins. The shade exchange credit is not available. an unusual Mid Century Modern Ceramic Lamp. a classis biomorphic design in a Mid Century Modern Ceramic Lamp, a lamp of the epoch and undeniably a Mid Century Modern creation. The harp is unlikely to be original to the lamp. a wonderful Mid Century Modern Ceramic Lamp. 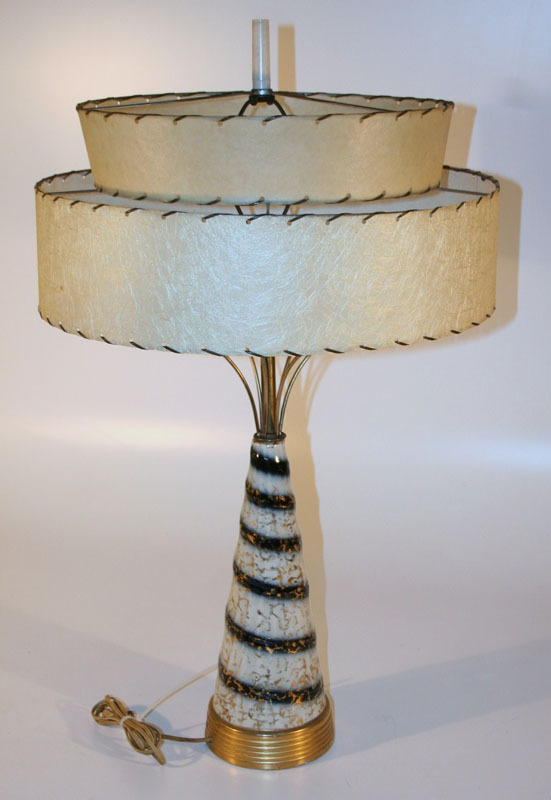 The design reflects an art deco expression in the faux crackling on the lamp. a Mid Century Modern Ceramic Lamp made to look old, a wonderful lamp.